Hire car(s) from us and make your conveyance safe and comfortable. Samphel Tours and Travels is a recognized name in the industry of tour & travel and providing car(s) on reasonable rents. 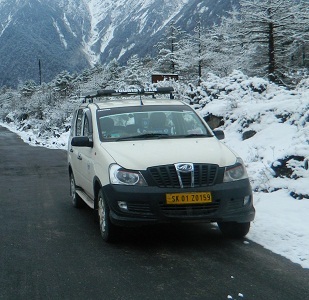 We are based in Gangtok (Sikkim, India) and we provide the ease of advance and urgent car booking. Our fleet is inclusive of vehicles categorized under Compact, convertible, economy, luxury, premium, standard, mini van, compact pick up, wedding car and MUVs & SUVs. All you need to do is just tell us your travel needs including turnaround time, number of seats required, preferences and budget; we assure to arrange vehicles accordingly.